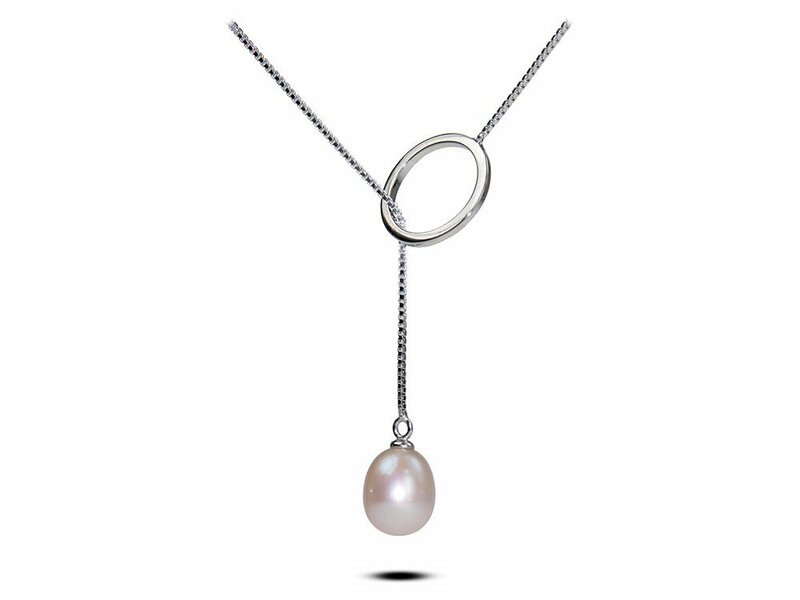 A pearl lariat with a single gleaming drop pearl of natural pink-champagne color, perfect for a simple and elegant look. 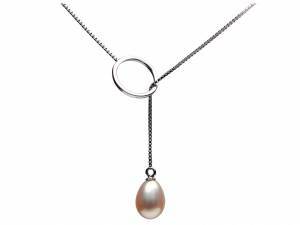 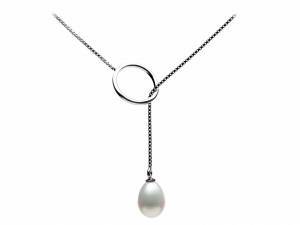 You choose how high or low the pearl is by tightening or loosening the loop around your neck. 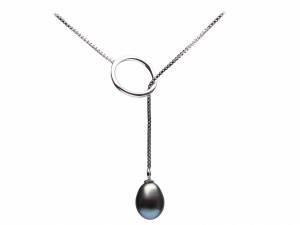 The total length of this lariat pendant is 18.5 inches / 47 cm, from the top of the hoop to the bottom of the pearl.